We had a visit from our friends John and Annie today and it was great to catch up and show them our place on this particular hot Sunday. But Annie confirmed for us something that we had feared from when we first discovered it.. We have infestations of Singapore Daisy – a particularly virulent and difficult to control weed. 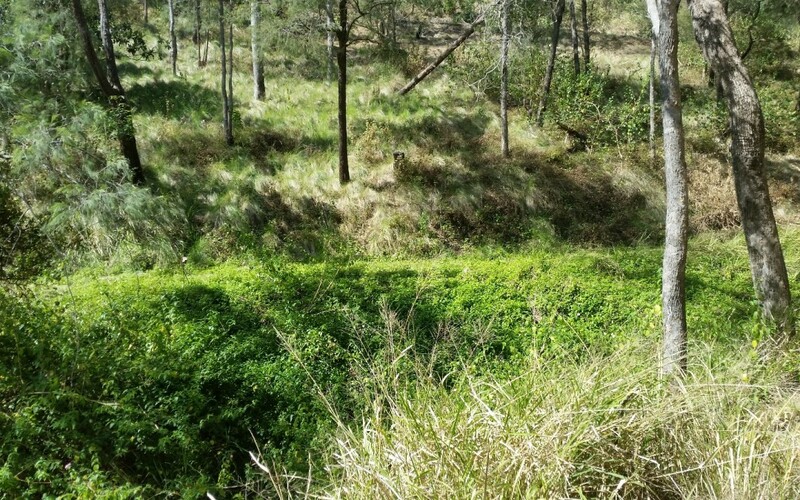 We had seen a bright green ground cover in the gully south of the house, and it “looked nice” and clearly had dominated any other plant growing in that area, so we knew we had to identify it and deal with it despite the fact that it looked “pretty”. Now that we have confirmed it is Singapore Daisy it has become one of our new priorities. 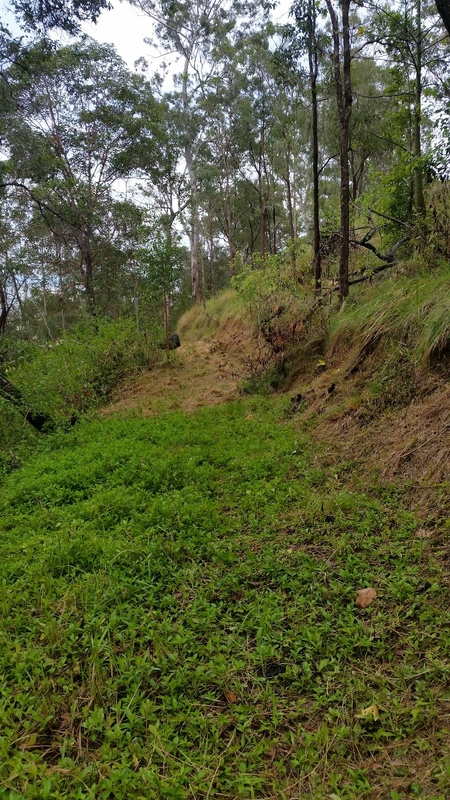 From our research it has shown that it is a very difficult weed to control, and a particularly harmful weed – especially in creek and riparian areas. So we are experimenting with physical and poison control in a few small areas and will assess the effectiveness of the treatments before we launch a full scale assault. Due to the neglect of the property over the last 5-6 years weed control was always going to be an issue. But it is now one of our top priorities as summer and the summer rains approach.